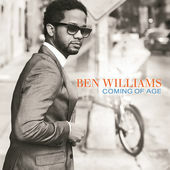 There have been a slew of new jazz releases over the last few weeks. This podcast and next week's will explore some of these great new jazz albums. This week we feature two young bass players putting their stamp on the jazz scene. Ben Williams and Chris Lightcap bring us their unique sounding compositions. Also of note is Alexandre Silverio, a bassoon player from Brazil and singer Becca Stevens. It all starts off with a new release from veteran saxophonist and session man David Sanborn. Jazz spans the world in this podcast. Beginning with a composition by Jackie McLean inspired by Ghana. 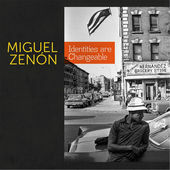 Miguel Zenon speaks to the Puerto Rican culture and assimilating into the American jazz scene. Bassist Ehud Ettun brings an Israeli influence to his jazz trio. A Miles classic is covered with a heavy classical Indian influence. There is some great straight ahead jazz tunes here as well. Appointment in Ghana ~ Vin Scialla, Eric Schugren & Brian Charette ~ Wake Up! Miles Davis and some fusion classics are featured in this eclectic podcast. Dig how the 1958 recording of Love for Sale fits seamlessly with these electric jazz/rock masterpieces.